Pioneers in the industry, we offer 770 off-highway trucks, construction off highway trucks, off road construction trucks, 770g off-highway trucks, 773e off-highway trucks and off highway articulated trucks from India. Leveraging on our vast industry experience and knowledge in this domain, we are devotedly engaged in offering 770 Off-Highway Trucks. 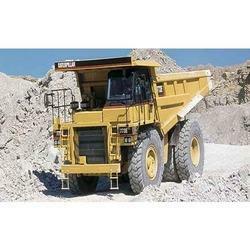 This truck is developed specifically for construction, mining and quarry applications. Our truck is available in several specifications in accordance with the demand of customers. Rugged construction and easy maintenance procedures ensure long life with low operating costs. Owing to our expertise in this domain, we are engaged in providing an array of Construction Off-Highway Trucks. Reliable braking with superior control gives the operator the confidence to focus on productivity. The offered truck is developed using the finest quality components and sophisticated technology. Rugged Cat structures are the backbone of the off-highway truck's durability. With sincerity and hard work of our professionals, we have carved a niche for ourselves in this domain by offering Off Road Construction Trucks. 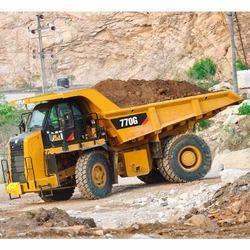 Our offered truck is developed utilizing top grade material in accordance with set norms. With phenomenal market understanding, we are able to introduce an extensive range of 770G Off-Highway Trucks. The offered trucks are known for heavy strength and providing better delivery solutions. 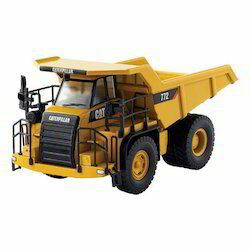 Large carrying bucket size, fuel efficiency and high load carrying capacity makes the trucks appreciated by clients. These trucks require less maintenance and can work under all weather conditions. The engine configuration and usage of the trucks changes according to the model number. Clients just need to choose the right trucks for their business. Backed by our years of industry experience, we are betrothed in presenting an excellent quality of 773E Off-Highway Trucks. 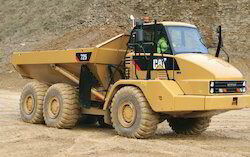 The offered trucks are used in mining, stone, and construction projects. 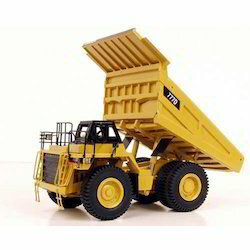 These trucks are heavy duty vehicles that can take up any high rise challenge or deep loading task effortlessly. Power, speed, and fuel efficiency are availed by the clients due to the having high-tech engine fixed in the trucks. 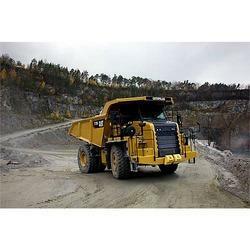 Developed specifically for mining, quarry and construction applications, the Off-Highway Trucks keep material moving at high volume to lower cost-per-ton. Backed by a team of highly skilled designers and experienced professionals, we are engaged in offering Off-Highway Mining Trucks. The offered truck is developed by using top quality material and latest technology in compliance with the set standard. It electronically combines critical powertrain components to work together more intelligently to optimize overall truck performance. We offer this truck after checking it on numerous parameters for dispatching a flawless range at our client's end. Leveraging on our vast industry experience and knowledge in this domain, we are devotedly engaged in offering Articulated Off-Highway Trucks. 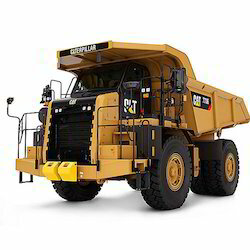 This truck is developed specifically for construction, mining and quarry applications. Our truck is available in several specifications in accordance with the demand of customers. Rugged construction and easy maintenance procedures ensure long life with low operating costs. Note Dimensions are for machines equipped with 26.5R25 tires.